HÀ NỘI — The Hà Nội Stock Exchange (HNX) will hold three auctions in May to sell shares of Sài Gòn Postel Corp, Việt Nam Apatite Phosphorus Joint Stock Company and Việt Nam Aviation Corporation. In April, HNX organised four share auction sessions, including two initial public offerings (IPOs) and two capital withdrawals. The active participation of investors ensured the sessions’ average bidding prices in the month were high. 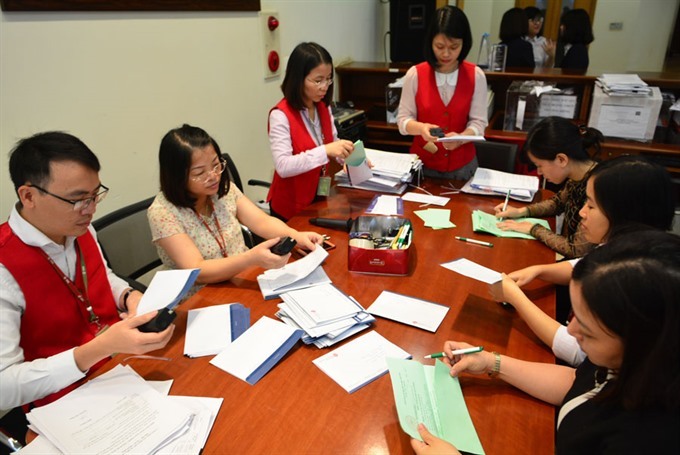 Specifically, the successful bidding prices of the two IPO auctions of Vạn Tường Construction Investment One Member Co. Ltd. and the capital withdrawal auction of Orient Commercial Joint Stock Bank (OCB) were higher than the initial prices by between 63 and 98 per cent. The total volume of shares offered in the four April auctions reached more than 19.9 million, down 77 per cent compared to the volume offered in the previous month. However, the volume of shares ordered was 5.2 times higher than that offered. Notably, the volume of shares ordered at the auction for capital withdrawal at OCB was 11 times higher than that for sale.